The Maryland Horse Industry Foundation hosted a second successful running of the Maryland Thoroughbred Career Program, organized and guided by Maryland Horse Breeder’s Association’s Jordyn Egan. This year’s group included students from Maryland and Kentucky who spent June 4-9 experiencing the Maryland Thoroughbred racing industry and being exposed to the diverse career options available within it. The MTCP week included a day at the MHBA office learning about the association, the Maryland Million, Ltd., and the Maryland Racing Commission. Students also experienced a variety of breeding and training operations with visits to Country Life and Merryland Farms (Fallston), Dark Hollow Farm (Upperco), Shamrock Farm (Woodbine), Chanceland Farm (West Friendship), Fair Hill Training Center (Elkton), Sagamore Farm (Reisterstown) and Northview Stallion Station (Warwick). Participants had an inside look at racetrack veterinary work at the Equine Veterinary Care Clinic at Fair Hill and equine rescue and rehabilitation at Days End Farm Horse Rescue (Lisbon). To top it all off, participants spent a day at Laurel Park where they watched training at the track and talked with various local trainers, visited with racing officials, learned about the Maryland Thoroughbred Horseman’s Association, the Beyond the Wire program and spent time with the Maryland Jockey Club staff. This year’s MTCP students have diverse backgrounds and future goals. Brianna Higgs of Bryans Road, MD, is a rising senior at Centenary University in New Jersey. She is majoring in Equine Studies with a concentration in both Equine Science and Equine Business Management while competing as a member of Centenary’s Hunter/Jumper team. Inspired by the adoption of her own off-the-track-Thoroughbred, she aspires to establish her own aftercare facility for horses transitioning off the racetrack. This fall she plans to compete her horse in the 2018 Retired Racehorse Project Thoroughbred Makeover. For Higgs, the Thoroughbred industry has always been a part of her life. “The Thoroughbred industry is important to me because I grew up involved in it. I was never one of those kids showing the big Warmbloods, I was always on the Thoroughbred or grade horse who tried its heart out,” she said. Even before her experience in the program, her interest in aftercare was peaked by an equine specialized topics class at Centenary where she learned about various rehabilitating therapies for horses. But it wasn’t until October of 2017 when she adopted her own ex-racehorse, Open Petition, from After the Races in Elkton, that she realized opening an aftercare facility was her ultimate career goal. “I began to feel the excitement it gave me [while] helping Open Petition figure out his new career as a show horse,” she explained. While the possibilities of opening her own facility in the future may seem daunting, Higgs credits MTCP with helping to ease that feeling. The program allowed her to bring her long-term career goals back into focus. “The program makes you want to put a hand in everything, but it also guides you towards the one thing that you are passionate about. For me, that was aftercare, and my passion has grown even more for it,” she said. Amber Roher of Bowie, MD, will be entering her junior year at the University of Kentucky in Lexington, KY, this fall. She is double majoring in Equine Science & Management and Sustainable Agriculture, with plans to get a Master’s Degree in Animal Science in the future. Her initial interest in the industry involves breeding and rehabilitation. “I grew up in Bowie right around the corner from the Bowie Racetrack. 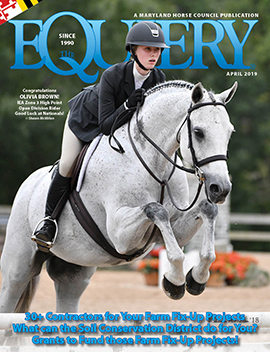 I used to watch the horses warm up in the mornings on my way to school and it was a highlight of my day,” Roher said, adding, “Ever since I was little, I knew that I wanted to be a part of the equine industry.” Since then, she’s enjoyed riding OTTBs, which developed her passion specifically for the breed and its industry. Roher applied to the MTCP program in hopes of experiencing more of the equine industry in Maryland. She plans to return to Maryland after graduating to find a job within the industry and feels the MTCP program is helping with that goal. “My experience in the program has shown me some aspects of the industry that I don’t see myself doing, but it has [also] left a lot of doors open for me that I hope I will be able to explore in the [future],” she said. Kandace Tignor of Westminster, MD, will be entering her junior year in the fall at the University of Findlay in Findlay, Ohio. 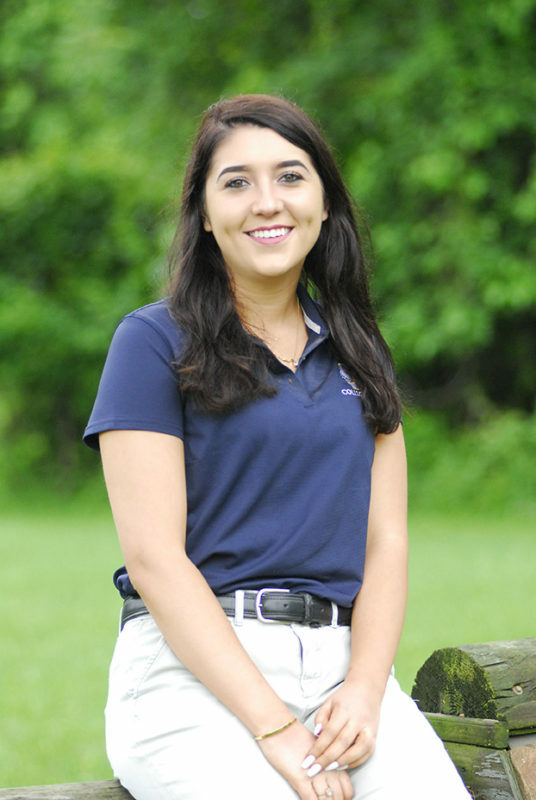 She is pursuing a double major in Pre-Veterinary Medicine and English Equestrian Studies. Tignor is also a member of Findlay’s Eventing team with the goal of becoming a veterinarian, hopefully back in her home state. Although Tignor did not come from a family involved with horses, she found her passion for them through riding lessons. One of her first lesson mounts happened to be a Thoroughbred. Through this exposure to the breed, she found her passion for the racing industry. “The Thoroughbred industry is important to me because of the horses themselves. They are so versatile, talented, athletic and yet extremely underrated,” she explained. “I’ve felt compelled to advocate for them since [many people] still doubt they can do much outside of the racetrack,” she added. The University of Findlay has shown Tignor firsthand the versatility of careers within the equine industry, but with more of an emphasis on the show-horse world. The MTCP was her first chance to get her foot in the door with the Thoroughbred racing industry. “By attending an equine-inclined school, I’ve gotten to see a lot of the horse show world and what it takes to be a top rider or trainer. [However,] the Thoroughbred racing industry is very different in their methods. Both [aspects] aim to unlock their horse’s full athletic potential, just in different ways,” she said. Through MTCP, Tignor had the chance to speak to many professionals involved with equine veterinary medicine, including Dr. Kathy Anderson of Equine Veterinary Care at Fair Hill Training Center, in Elkton. “By meeting with different vets, I’ve gotten important insight as to what I can do to work towards my goal [of being a vet],” she stated. And when it comes to the variety of employment opportunities within the racing industry, it is just a matter of exposing people to these opportunities. “I was explaining to my friends the job opportunities I have now, because of this program, and they weren’t even aware that jobs like that existed,” she said. Camille Lee, of Edgewater, MD, will be a junior this fall at the University of Maryland, College Park. She is on the Pre-Vet track with an Animal Science major while continuing her work at the UMD Equine Breeding Program under Dr. Amy Burk, for whom she’s worked since freshman year. “Every day I get better at working with the foals and experiencing opportunities to learn about different [medical] treatments and how to perform them,” she said. Although her long-term goal involves becoming an equine veterinarian, her interest has been piqued by equine reproduction and aftercare. With connections to some of last year’s MTCP participants, Lee applied in hopes of developing a better understanding of the industry as a whole. “I wanted to know what it’s like from sunrise to sundown to be an owner, trainer, vet, etc. in order to help narrow down what position I’d like to pursue,” she said. As an admirer of the Thoroughbred’s versatility, Lee has always been interested in training and aftercare of OTTBs once they retire, despite her educational focus on veterinary medicine. “My favorite thing [about this program] has been learning about all of the different breeding and training facilities and [how] they are managed,” she said. “For example, comparing their daily routines, record keeping [systems] and handling of foals.” She is now considering getting involved in the breeding. Farrah Staebell, of Louisville, KY, will be starting her sophomore year in the fall at Colorado State University in Fort Collins, Colorado where she is in the Equine Science program. After finishing her undergraduate degree, she plans to get her Doctor of Veterinary Medicine with a focus on Equine Surgery and Sports Medicine. As a Kentucky native, Thoroughbreds have always been a part of Staebell’s life. “These horses have always inspired me, for they possess the heart, athleticism and drive like no other animals,” she said. Already having opportunities to work with top horses, trainers and veterinarians in Kentucky, Staebell saw the MTCP as the ideal opportunity to be introduced the broader Thoroughbred community. The program allowed her to speak with a range of professionals that gave her valuable pieces of advice, applicable to any career path. “The most important things I learned during this week could never come from a textbook or classroom, but [only] from years of errors and successes that these speakers had been through,” she explained. While the Maryland Thoroughbred racing industry was new to her, Staebell was able to find some aspects of her home state within it, while also acknowledging the unique qualities of Maryland as well. “I had no idea how important Maryland’s role was in the racing industry. The pure proportion and success within the state was eye-opening. The sires, stables and tracks were all outstanding, and in some ways, reminded me a lot of Kentucky,” she said. Lauren Carter, of Woodstock, MD, is a graduating fifth year student at the University of Maryland, College Park, pursuing a degree in Animal Science with an emphasis in Equine Studies. She wants to apply for the Kentucky Equine Management Internship program in the fall, while spending the next three years working full-time to prepare for graduate school where she plans to focus on Equine Reproduction. 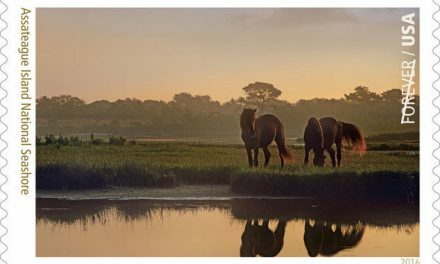 Carter currently works with broodmares, foals and yearlings at Chanceland Farm in West Friendship. Carter does not have a set future career plan, but ever since she was little, she’s been devoted to horses and having them in her life. Her love of horses in general kindled her interest to explore the MTCP as a way to see the true expanse of the industry and what type of career opportunities it offers. “Before the program, I thought the only way I could make good money with horses was to get a PhD and teach. Although I love to teach, the school aspect did not appeal to me. Since [completing] the program, I have seen how big the industry is. It has given me a new perspective,” she said. Carter can see herself involved with some administrative role within the equine industry. Along with the MTCP, her hands-on experience at Chanceland has been an important learning experience for Carter. Chanceland is a unique set-up with facilities for a full breeding program and training on a track. This set up is mirrored at the Fair Hill Training Center “The size and beauty of the center was absolutely amazing, with breathtaking therapeutic and training [amenities]. I learned so much about the business aspect of the industry at Fair Hill,” Carter said. When it comes to getting involved in the industry, educating yourself and making connections, Carter believes the best thing you can do is inquire. “Every person you talk to has important information or advice they can give you about their perspectives in the industry. Ask many questions,” she said.